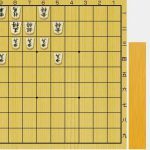 This is first of a series of post were I will talk about different openings 序盤, how to build a good castle for protect the king and how to attack your enemies castle. One of the main castle in Shogi is the Yagura. 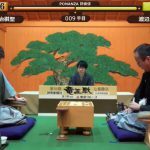 According to Yonenaga, president of the Japan Shogi Association from 2005 to 2012, the Yagura is the pure art of Shogi. 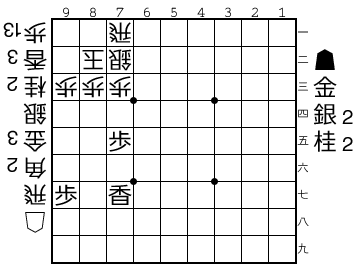 First of all let’s remember the initial position in the shogi board. We will have Sente (first to move) and our rival will be Gote (second to move). 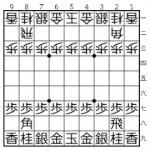 The first move for build a Yagura castle should be ▲7六歩, P7f. With this move we are making some space so we can move our king to the left side. 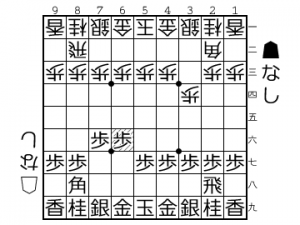 If Gote moves △3四歩, P3d, he can try to exchange bishops so Sente needs to prevent it. 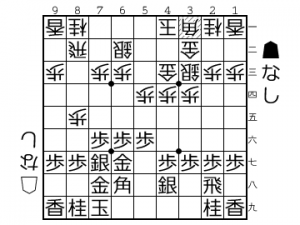 If we want to build a Yagura the best way is to keep our bishops on the board so the next move will be ▲6六歩, P6f, blocking the diagonal 8八 – 2二, 8h – 2b. 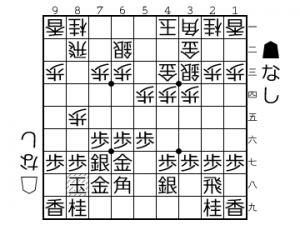 Now Gote has too many options, he can try move the pawn to 8d, △8四歩 for try to attack the bishop’s head pawn on 8七, 8g. 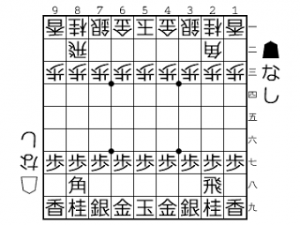 Against this the best option is to move ▲６八銀, S6h. 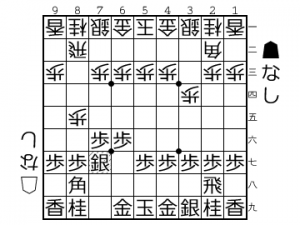 So if the Gote continues going forward with his pawn △8五歩 we can stop him with 7七銀, S7g, protecting the square on 8六, 8f. Let’s suppose Gote is also aiming for build a Yagura Castle and move some moves forward. 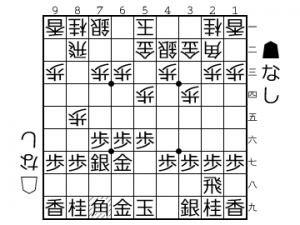 This last move ▲7九角, ▲B7i, is very important. Need to be careful that the bishop don’t get trapped inside the Yagura and the castle cannot be built. 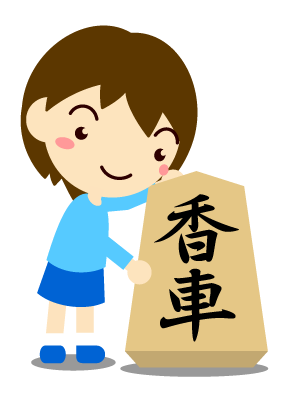 Sente is ready to finish his Yagura with ▲8八玉, K8h. This is the shape of the Yagura castle you should remember. opening, yagura, 序盤, 矢倉. Bookmark.